From time to time I got a few spam comments at my blog. Such comments contain multiple links inside to increase somebody’s sites ratings in the search engines results. This job is made by software bots obviously. I use Disqus comment system plugin for users comments here at shinephp.com. 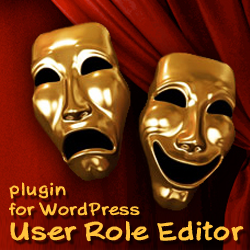 This plugin duplicates any comment sent to Disqus in your WordPress blog database. This is good thing in case you decide to change comments system in the future. But I still got some comments at my WordPress database only without pair at Disqus. So I have a conclusion that there is a way to send comments to WordPress blog even without opening its post in the browser. Cases when the same comment text inserted into multiple posts at the same time just confirmed my thoughts. While there were 2-3 spam comments a day I did not take much attention to that. 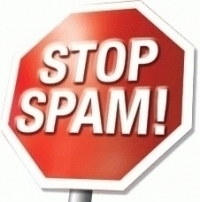 But recent days spam comments quant was drammatically increased to about 30 a day. So I had to search a way to stop this annoying thing. Good news! It seems I found the right decision. Spamers use WordPress built-in functionality to make their bad business. Such functionality is provided by code in wp-comments-post.php file, which allows to send comment for any blog post programmatically, without visiting blog and opening post in the browser. The 1st thought which I got was just insert return; operator at the begin of this file. That is the simplest decision but not the best one as any WordPress update will break it. If you use Disqus comment system plugin and suffer from plenty spam comments inserted to your WordPress database directly, try this decision. I hope it will help to you as good as it does for me. I have not any comments from spam bots about a week 🙂 already. Another ways which could help in the fight with spam comments in general are described at WordPress Codex article Combating Comment Spam/Denying Access. This entry was posted on Sunday, August 22nd, 2010 at 10:20	and is filed under WordPress. You can follow any responses to this entry through the RSS 2.0 feed. You can skip to the end and leave a response. Pinging is currently not allowed.